Each year, Ice Castles brings fairy tales to life for hundreds of thousands of families across North America! The ice castle is more than an acre in size with water used to build magnificent walls, slides, arches, and thrones which at night, are lit by colorful, changing lights. Each day 10,000 icicles are grown and placed throughout the ice castles to provide something for the water to freeze too. Over time the icicles get absorbed into the ice structure. Each ice castle wieghs approx 12 million pounds! The castles feature ice-carved tunnels, fountains, slides, frozen thrones and tall ice formations, officials said. This year, visitors can buy tickets for a horse-drawn sleigh ride. Tuesday . . . . . . . . . . . . . . . . . 4 p.m. – 9 p.m.
Wednesday . . . . . . . . . . . . . . 4 p.m. – 9 p.m.
Thursday . . . . . . . . . . . . . . . .4 p.m. – 9 p.m.
Friday . . . . . . . . . . . . . . . . . . . 4 p.m. – 10:30 p.m.
Saturday . . . . . . . . . . . . . . . . .Noon 10:30 p.m. Ticket sales are final. Ticket dates and times may be changed as long as changes are made at least 24 hours in advance. Please take this into considerations if there is inclement weather imminent or if you have a sudden change of circumstances. *Standby tickets are available on a very limited basis. Pre-purchasing your tickets is strongly recommended. Wear Boots! The walking surface inside Ice Castles is made of crushed ice. Walking in boots is definitely best. Buy Tickets Before You Arrive! When you buy a ticket, you buy an arrival time. We ask that you arrive within your 30-minute time window. Once you are inside Ice Castles you can stay as long as you’d like! Save some trees! When you buy your tickets online we’ll send you an email with a unique QR code, so there’s no need to print your tickets. We can scan the code right from your phone! Photos are encouraged (and we want to see them! #icecastles) but we ask that you please leave photography equipment such as tripods and lights at home. For information about commercial or specialized photo sessions please email us at info@icecastles.com. Sleds are better. We highly recommend bringing a small sled to pull children instead of a stroller. 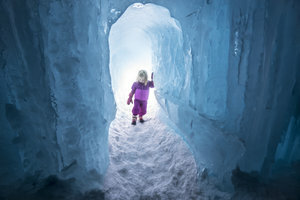 It is extremely difficult to push a stroller through Ice Castles (think of it like trying to push a stroller on a sandy beach). Visit the Ice Castles website for more information, parking, clothing suggestions and to purchase tickets. Enter to win 4 Tickets to the Ice Castle! Each option is one contest entry. Prize has no cash value. Winner will be contacted via email. Winner will be chosen 1/20/19. Check out more photos on the Ice Castle’s Instagram and visit them on Facebook. Would love to see the ice slide this year! The whole thing looks simply amazing!! I woukd love to take my girls and check out this wonder!!! If I win, I will bring my friends on an amazing adventure to the ice castles! Love Ice Castles! Can’t wait to take my girls this season! If I win, I will bring 3 kids to the Ice Castles! If I win, I will bring my 2 kids and my husband to the Ice Castles! If I win, I will bring my girls to the Ice Castle! So excited at this prospect! My kids would LOVE IT! I would enjoy taking my grandchildren here. If I win, i’ll bring my son/s/l and 2 grandkids. If I win, I will bring my husband and 2 kiddos to the Ice Castles!! If I win I will bring my 5 year old daughter! She thinks Elsa must live there!! If I win, I will bring my 5 yr old daughter, her 6 yr old cousin, and Meme to the Ice Castles! Can’t wait!!! Have always wanted to see this! Cant wait to visit this year!! My daughter has been checking daily to see when they will be open for the season. She absolutely loves the idea of a ice castle. This is such a good time! Went a few years ago and just dying to take my little ones back! My absolutely loves the idea of a ice castle. I would love to bring her here. If I win, I will bring thermal underwear to the Ice Castles. If I win, I will bring my family to the ice castles. If i win i’ll bring my family and friends. If I win I will bring my kids and another family and we’ll split the costs of their tickets between us all spreading the joy of winning! If I win I will take my family and we’d find another family to bring with us and share the cost of their tickets between the families share the joy of winning!! If I win I will bring my husband Jim and my daughter and her son! This is definitely on the list this year! If I win I will bring my 4 kids We’ve been trying to go for a few years now so this would be perfect ! If I win, I will bring my sister and her family who were affected by the Columbia Gas explosions last fall! If I win, I will bring my sister and her family who were affected by the Columbia Gas explosions last fall. If I win, I will bring my 2 year old son and my husband with me! It looks so beautiful. If I win I would bring my daughters. They wld love it. If I win I will bring my husband Matt and my kids! If I win, I will bring my mom and some friends to the Ice Castles. If I win, I will bring my husband and two of my friends to the Ice Castles. If I am lucky enough to win I would take my 3 children to see this beautiful place. -If I am lucky enough to win I would take my 3 kids to see this incredible place. If I win, I will bring my crazy 8 year old twins to the Ice Castles! “If I win, I will bring_my daughters to the Ice Castles.” Since we have never been. If I win, I will bring my husband and two kids to the Ice Castles. They are both obsessed with “Frozen” so it would be so much fun! If I win, I will bring my hubby and our nieces to the Ice Castles! 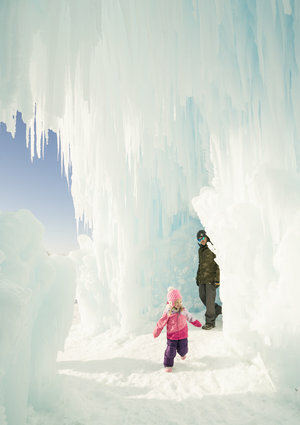 If I win, I would love to bring my daughter (& our friends) to the Ice Castles! 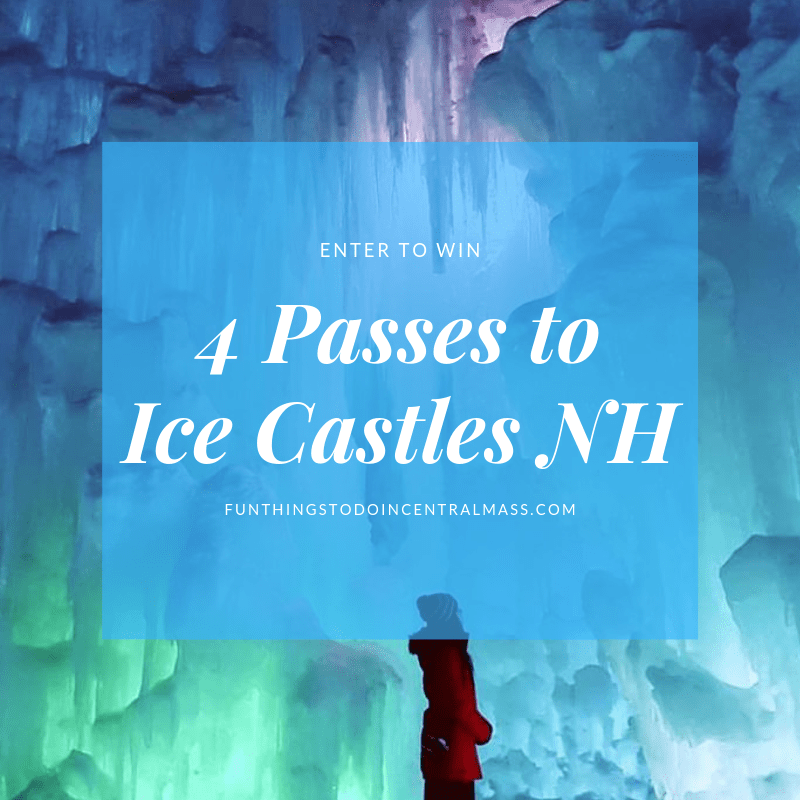 We heard how amazing Ice Castles is last year but haven’t been able to visit, so winning tickets would be an awesome experience, especially with my daughter’s 17th birthday coming up in a few weeks! Thank you for the chance to win! If I win, I will bring my husband and 2 boys to the ice castles. If I win I will bring my family . This place looks amazing ! If I win I will bring my children to the Ice Castles. If I win, I will bring my kids to the Ice Castles. If I win, I will bring my husband and three kids to the Ice Castles. My husband and his 2 kids…10 and 16. If I win, I will bring my husband and son to the Ice Castles! Congratulations Kim! You are the winner. Please email me at funthingstodoincentralmass@gmail.com to claim your prize. If I win, I will bring my daughter and sisters to the Ice Castles. If I win I will bring Alisha, Erica, and Dawn to the castles with me. If I win I will bring my girlfriend, sister in law, and mother in law. If I win I will bring my family to the Ice Castles. If I will bring my husband and two kids. If I win, I will take my husband and 2 children. This would be a really fun family adventure! Can’t wait to take my kids this year! If I win, I will bring my three sons and my husband to the Ice Castles! If I win, I will bring my grandson’s to the Ice Castles! If I win, I will bring my kids and husband to the Ice Castles. I’ve been dying to go here! If i win I’ll bring my husband and our boys. If I win, I will bring my family of 7 to the Ice Castles. We’ve never been and would love to! Thanks for the chance to win! If I win I would bring my family of 7!!! Kids ages 1- 11, they would all love it! If I win, i would bring my daughter Aaliyah,.y friend Tanya and her daughter Peyton!! If I were the lucky winner I would take my fiance and kids, we have always wanted to go! My grand kiddos would love the ice like Frozen in their minds. It would be amazing if I won and I would bring my boys with me . If I win, I will bring “The A Team” (aka our A family) to the Ice Castles. Hope to go in February! If I win, I will bring my family to the Ice Castles!!! Tower Hill Botanic Garden welcomes the public to Movers and Shakers, a week of STEAM activities over April school vacation! All Natural Skin Care Products For The Whole Family. Made In Massachusetts!